Housing on Merit’s Executive Director, Jennifer Litwak, serves on Commercial Real Estate Women (CREW) San Diego’s Board of Directors as the Director of Education + Programs and as an appointed member of CREW Network’s Industry Research Committee and Member Education Committee. The 2018 CREW Network Convention and Marketplace was held in San Diego on October 17-19. 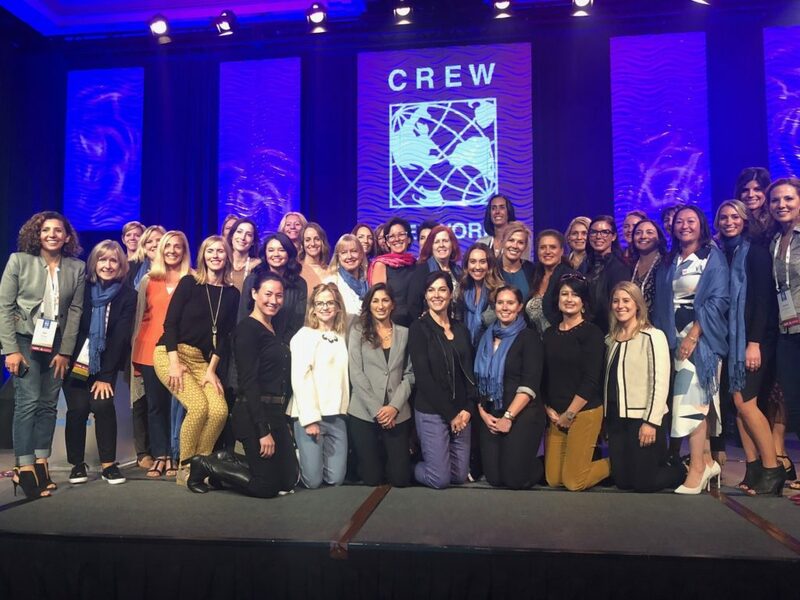 The annual CREW Network convention is one of the top real estate networking events, focused on advancing the achievements of women in the commercial real estate industry. Each year some of the best educators and leaders in the business present at this event, which also includes breakout sessions and networking opportunities. CREW Network membership has grown to 11,000 worldwide and in more than 70 major markets, and is one way that Housing on Merit continues to expand its nationwide exposure and share its impact in the affordable housing marketplace. Ms. Litwak has been selected to serve on CREW San Diego’s 2019 Board of Directors in the role of Foundation Delegate.